In today’s economy, many of them also contribute to the family income. That means they juggle family and career. In the end, none of the duties listed above are as important as a mother’s primary responsibility: provider of life. 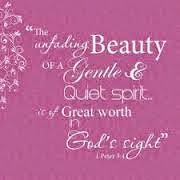 This is a gift beyond price. The process of giving birth is relatively easy for some women, not so simple for others. In either case, taking on the responsibility for a child is a humongous game changer. Life is never the same; it takes on a new aspect. Concerns expand from the “me” dimension to the “us” dimension. Mothers consider what’s best for their child; they don’t only think about their own needs. Isn’t that the epitome of self-sacrifice? Mothers are often selfless. However, does it follow that they’re also flawless? No! 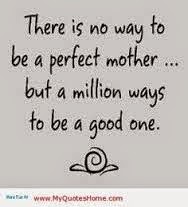 Motherhood does not guarantee perfection; nothing does. After all, we’re all human. Weaknesses are inherent in everyone. Some ladies deal with debilitating mental and medical conditions. Without mothers, none of us would be here. This is our first point of gratitude. Many of them are a dichotomy of quiet strength and weakness. Yet, they nurture us to the best of their ability. They’re moms. That’s what they do. These providers are of infinite worth, whatever their background. Have you thanked your mom lately? My son wrote in my Mother's Day card that he was proud of me. Best gift EVER!!! Absolutely, Rosanne! When they thank us, or say they're proud of us, it's priceless! Mothers just want acknowledgment of all they do.